Welcome to my travel diary! I’ve decided to share some of the places I have loved visiting. I thought I’d start out this series with an amazing place that I hold near and dear to my heart…French Polynesia!! We spent two weeks there for our honeymoon back in 2010 and it was just perfect! 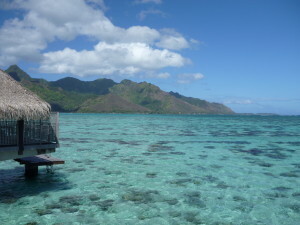 Of the polynesian islands we stayed in Bora Bora, Tahiti, and Mo’orea. I highly recommend visiting as you won’t regret it. Here is a glimpse of our honeymoon in photos. Enjoy!